Dr David Brougham from the Massey Business School and Professor Jarrod Haar from AUT surveyed 500 New Zealand employees earlier this year and say 80 percent of participants did not think their job could be automated. They say the results did not deviate significantly from data collected in 2015 and 2016, despite extensive media coverage of the issue over that time. Brougham said: “There is an interesting cognitive bias going on when you look at the gap between the number of New Zealanders who are aware of the potential threat of automation and the number who think it will affect them personally. He added that 50 percent had seen smart technology, artificial intelligence, automation, robotics and algorithms covered in the media, but the majority remained unconcerned. “Seventy one percent of our survey participants said they don’t discuss these issues with their work colleagues and 79 percent have not actively researched how technology might affect their job in the future. 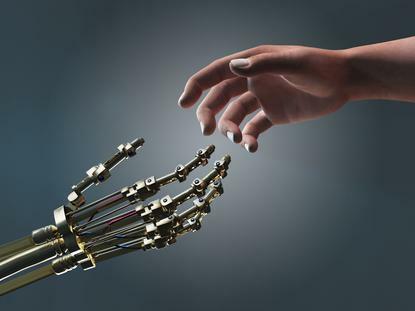 Brougham will discuss his research findings at Massey University’s Big Issues in Business seminar series, ‘Robots vs Humans – the future of work’, which will take place in Auckland, Wellington and Palmerston North during June.